For the past two years, alternatives for the improvement of Saddle Road have been developed and refined with the input and involvement of the SEE Team (organized by Federal Highway Administration), Saddle Road Task Force, key governmental agencies, local residents, neighboring landowners, and citizens at large. This input and evaluation process allowed for early consideration of public needs, engineering criteria, and environmental issues of concern, and resulted in numerous changes to and refinements of the original alternatives. As a result of this process, 12 possible alternative routes remain under study, 10 alternative segments were considered and eliminated, and a "no action" alternative is yet another possible outcome of this process. This issue briefly describes these alternatives for the proposed project designed to improve Saddle Road to a two-lane highway with enough capacity to safely handle projected traffic volumes up to the year 2014. Uphill passing lanes, truck escape ramps, scenic pullouts, and military crossings are being examined as part of preliminary roadway design to enhance safety along Saddle Road. All proposed improvements to Saddle Road fall between Mamalahoa Highway on the west side and mile post 6 near Hilo on the eastern end. These were logical termination points as Saddle Road connects to another established transportation route at Mamalahoa Highway, and mile post 6 near Hilo is the future point of connection of the existing road to the proposed Puainako Street Extension. Three typical roadway design cross-sections were developed for the proposed Saddle Road. The roadway will be designed throughout the entire project length with two 12-foot travel lanes, and includes 8-foot paved shoulders. For added fire safety, project segments under consideration through Pohakuloa Training Area (PTA-1 and PTA-3) feature additional 8-foot paved shoulders that may be used as a bikeway. 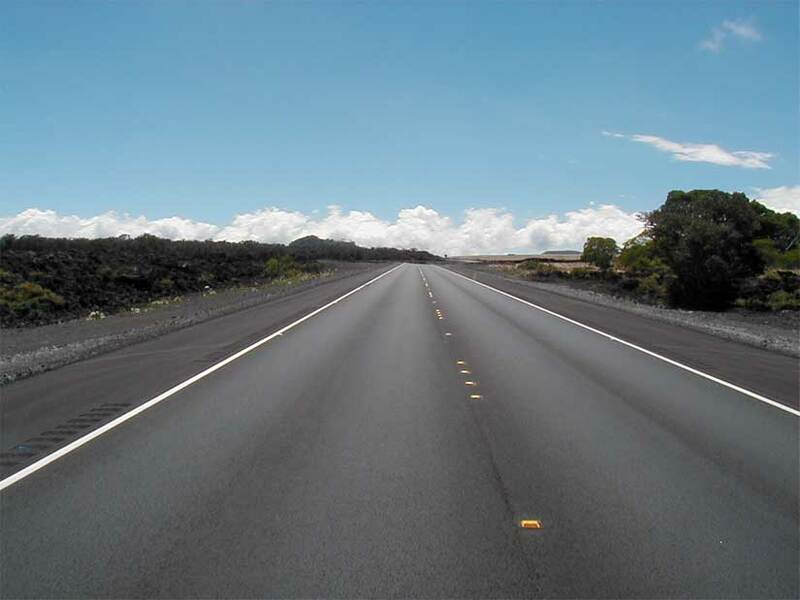 The additional 8-foot paved shoulder is located predominately on the mauka side of the highway, and includes a four-strand smooth wire fence with metal posts between the shoulder and the bikeway along with an extruded asphalt curb on the bikeway's outside edge. 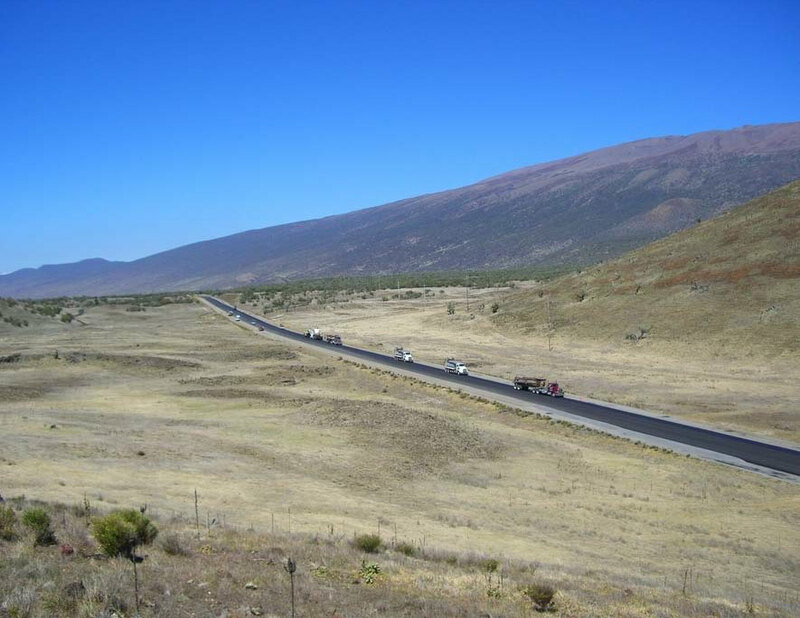 In the vicinity of Mauna Kea State Park, additional 8-foot paved shoulders on both the north and south sides of the highway are envisioned to provide fire protection for the Mamane forest and to serve as bikeways. These will also be set apart with wire fencing and edged with asphalt curbing. Section I-Begins at the junction of Mamalahoa Highway (H190) and extends east to Saddle Road mile post 42. Section II-Mile post 42 to 28. Section III-Mile post 28 to 10. Section IV-Mile post 10 to the eastern project terminus, mile post 6. The formulation of alternatives for Saddle Road in Sections I, II and IV considered use of the existing road alignment as well as potential new alignments. Within Section III, improvement along the existing alignment was considered the only practicable alternative after much discussion and investigation of other potential routes. Within each of these four sections are alternative road alignments called segments. This project initially considered 20 segments. Of these, 10 were feasible, warranting more detailed analysis; the other 10 were eliminated from further consideration. Subsequently, the 10 feasible segments were evaluated in full detail by the project team of specialists, including biologists, botanists, archeologists, sociologists, economists, land use specialists, water quality specialists, visual resource specialists, and engineers. Technical reports were prepared by each specialist, and based upon analysis of these reports the SEE Team eliminated another two segments from consideration (EX-1 and EX-4). As you refer to the enclosed map of segments under consideration, the "EX" represents the existing Saddle Road alignment, "W" refers to the west end of the project, "PTA" refers to Pohakuloa Training Area, and "E" refers to the east end. Segments within the PTA section (Section II) would be the first projects to be constructed beginning in 1998 through the year 2000 because the project is authorized under Defense Access Road Program funding for design within these limits now. Projects outside of the PTA would be phased over a number of years as funding becomes available. Implementing the proposed project within any one section or any combination of sections of Saddle Road will improve overall travel conditions. Since the segments identified within each section begin and end at a common point on Saddle Road, selection of a particular segment within any one section will not influence the selection within any of the other sections. As we reported in the last issue, the MTMC (Military Management Traffic Command) has agreed to fund the design and construction of that portion of Saddle Road improvements within the approximate limits of PTA. 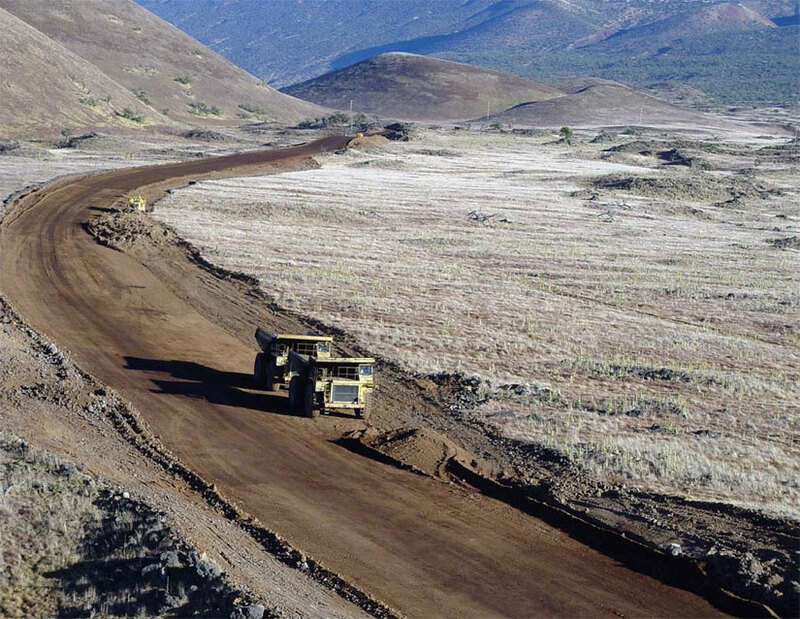 State of Hawaii Department of Transportation will improve the remaining portion of the road over time, as funds become available. New construction will be required for most of this segment, except for the east end where W-2 follows the existing Saddle Road for about 1,000 meters requiring the existing road to be reconstructed with major grade and alignment improvements. W-2 extends from Mamalahoa Highway at the Waikoloa Junction to mile post 42. 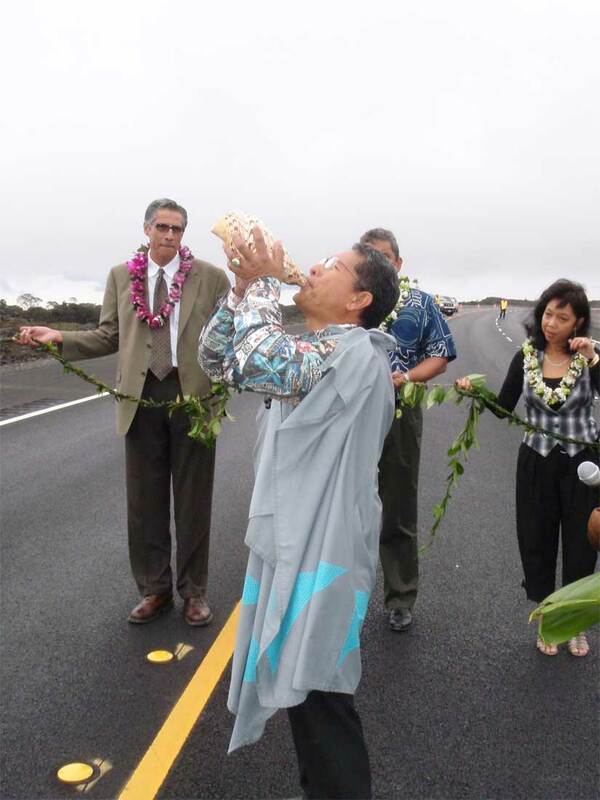 W-2 connects Saddle Road directly to Waikoloa Road and will reduce the travel distance between Hilo and Kona. Total estimated construction cost for W-2 is just over $37.2 million. 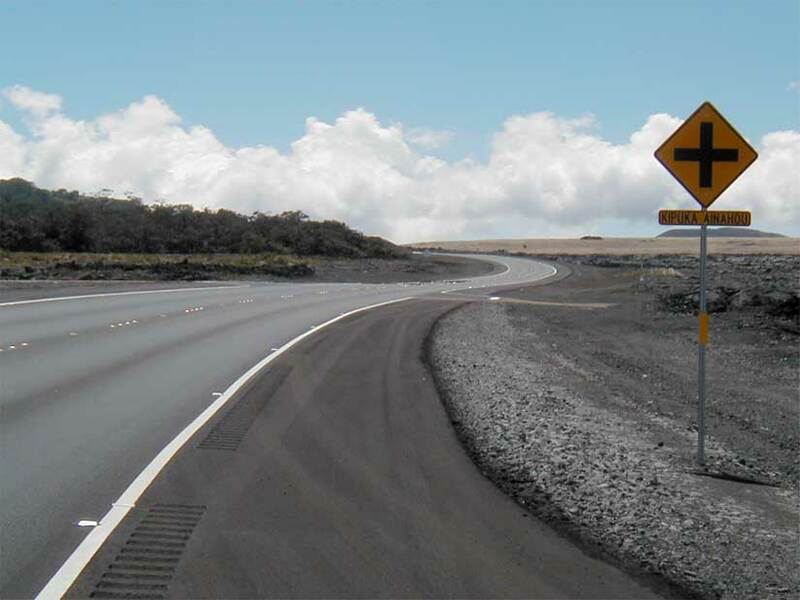 Segment W-3 offers another new construction alternate through Section I, intersecting the Mamalahoa Highway about two miles south of Waikoloa junction. W-3 offers a shorter travel distance between Hilo and Kona than either the existing road or Segment W-2. Estimated construction cost is $39.1 million. This segment follows the existing Saddle Road alignment through Section II and includes the rebuild of Saddle Road with major grade and alignment improvements to bring it up to standards. Estimated construction cost is $38 million. Nearly the entire length of PTA-1 that runs from mile post 42 to mile post 28 will constitute new construction at an estimated cost of $42.7 million. 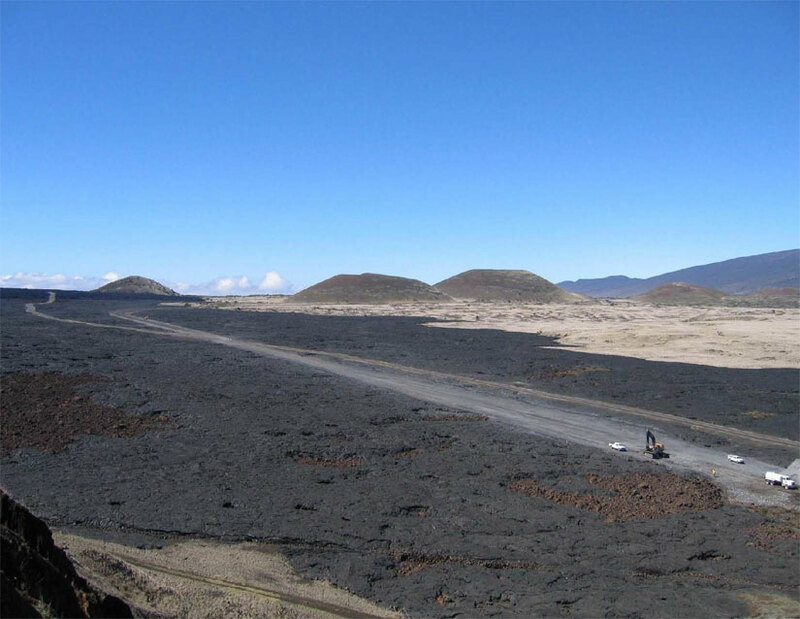 This Segment PTA-1 will relocate this section of Saddle Road to the northern boundary of Pohakuloa Training Area thus completely avoiding conflicts between the traveling public and military maneuvers. 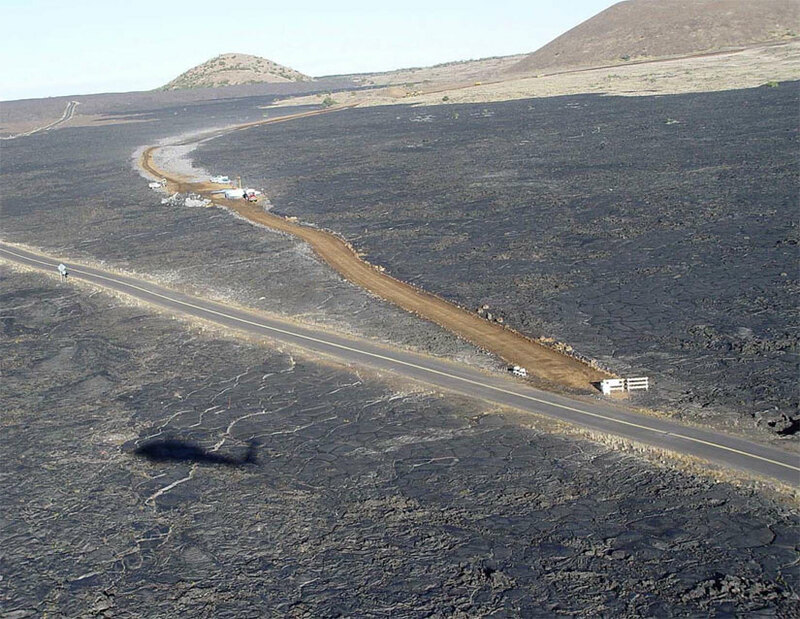 PTA-3 is an alternate alignment modification to PTA-1 that was formulated to avoid placing new roadway on Hawaiian Homelands. As with PTA-1, PTA-3 will constitute new construction for nearly its entire length at an estimated cost of $45.7 million. No feasible or practicable alternatives to the existing road corridor were identified within Section III. So from mile post 29 to mile post 10, this segment runs along the existing alignment. 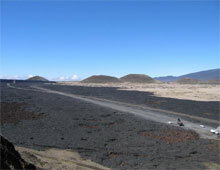 Previous lava flows are located on both sides of the Saddle Road through this section. EX-3 requires the rebuild of Saddle Road with major grade and alignment improvements to bring it up to standards. Estimated construction cost is $60.3 million. EX-4A, an alternate alignment to the eliminated EX-4, follows the existing road on the west and east ends of Section IV. In the middle, it splits from the existing road and follows an existing transmission line corridor. This alignment was identified in an effort to relocate a portion of Section IV away from existing development. Construction estimates are $9.9 million. 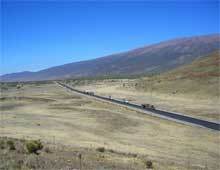 This segment, from mile post 10 to mile post 6, was included in an attempt to bypass existing development, prevent congestion and avoid residential locations. Estimated construction cost is $17 million. These eight segments identified above have been combined into 12 possible routes, or alternatives. Implementation of any of the 12 action alternatives would result in a wider, less undulating roadway designed for 50 mph with shoulders for increased safety for stopped vehicles, truck escape ramps, scenic pullouts, uphill passing lanes and proper signage. The new roadway would provide for greatly improved response times for emergency vehicles, reduced accident rates, increased traffic capacity, and reduced travel time and fuel consumption for cross-island travel. The No Action Alternative is also under consideration. This alternative would maintain Saddle Road as it is today and would include the completion of short-term, or minor, maintenance and restoration. It would not upgrade Saddle Road to minimum design standards nor would it enhance safety, improve level of service or operational function, accommodate future traffic levels, or reduce or eliminate conflicts between the traveling public and PTA military training maneuvers. Traffic volumes would continue to grow with this No Action Alternative, but at a slower rate than with the action alternatives. We hope this information has been informative. Current plans call for the completion of the draft EIS in April of 1997 and final EIS next December. Our next newsletter issue will also be sent to you in March and will keep you informed of the environmental issues the project faces.